In an ongoing effort to bring our Nikonians.org members value, we are running another free online workshop with CreativeLive on Monday, October 24th. - How to put together and light a portrait studio on a budget. Invite your friends and camera club members to watch live so you can interact with Mike as he is giving tips and tricks to help you create a great home studio at a low cost. You don't have to have your own studio space or purchase thousands of dollars worth of equipment to build your portfolio of images. Join Mike as he gets you expanding your portfolio so you can gain the clients to eventually purchase the gear you want to own! Join Steve Simon for one of his two workshops to Cuba this December and January. The US Government continues to reduce restrictions on travel to Cuba, which means the flood of tourists isn't far behind. 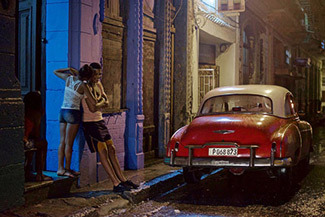 If you've wanted to visit before the massive changes take place, then join Steve Simon and Nikonians Academy in December or January for his workshop, Cuba: The Passionate Street Photographer. Steve Simon has been running photography workshops to Cuba for quite a few years and is uniquely qualified to show off this beautiful country to visitors. These two workshops are open to travelers whether or not you are a US Citizen. We'd love to have you along on the trip no matter where you are from. Steve has been traveling to Cuba for many years now and has a great knowledge of this country. His workshops are based on the concepts from his best-selling book, The Passionate Photographer, and work to take the student from good to great. Steve's next trips begin December 10th and January 16th. 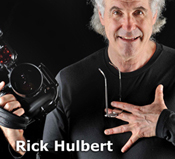 Rick Hulbert is running a really fun workshop to Budapest, Hungary in May, 2017. His class will be a photographic exploration of this beautiful city that straddles the banks of the Danube River. This is a true photography workshop and Rick will be working with participants to improve their photography of urban areas, including buildings, man-made spaces, and street photography. Rick stresses that you won't need fancy equipment to enjoy this trip. In fact, any and every brand of camera will work. So, feel free to bring your Nikon (of course! ), Canon, Fuji, Pentax, Sony or iPhone. Watch them live for free. You can also purchase previous workshops from them on hundreds of different topics. 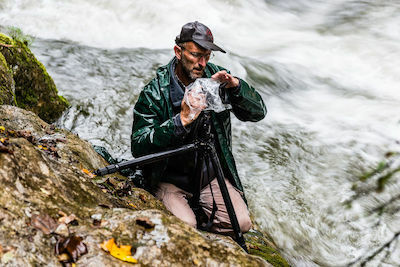 Our Nikonians Academy Director, Mike Hagen has recommended a variety of workshops for Nikonians members focused on Travel, landscape and nature photography here.